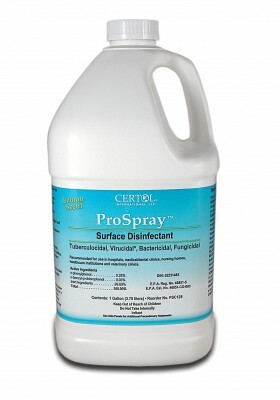 Use this product to clean and disinfect hard, non-porous, inanimate surfaces such as those made of acrylic, metals (aluminum, brass, stainless steel, chrome), glass, plastics (polycarbonate, polypropylene, polystyrene and polyvinylchloride), clear plastics, Plexiglas®, vinyl as well as laminated and painted surfaces. 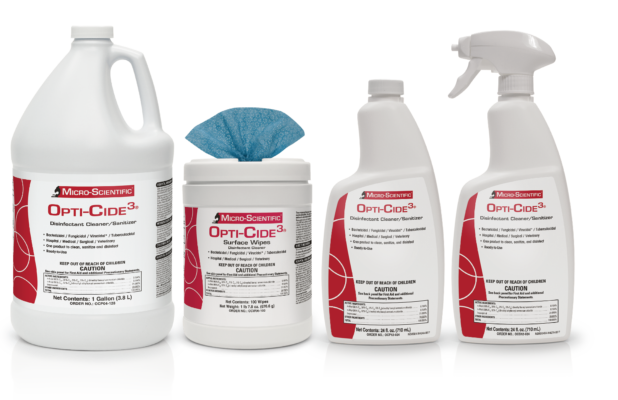 Opti-Cide3 effectively and quickly loosens and suspends blood and bodily fluids, non-organic and organic soil, and other cellular debris for easy removal. 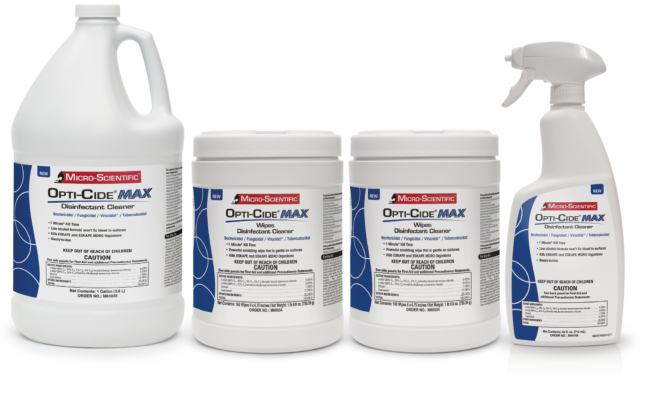 Opti-Cide MAX cleans and disinfects hard, non-porous surfaces such as acrylic, metals (aluminum, brass, copper, stainless steel, chrome), glass, plastics (polycarbonate, polypropylene, polystyrene and polyvinylchloride (PVC), Plexiglas®, and vinyl. Opti-Cide MAX kills hard-to-kill ESKAPE and ESKAPE MDRO organisms with a 1 minute* kill time. *2 minute contact time is required to kill TB. 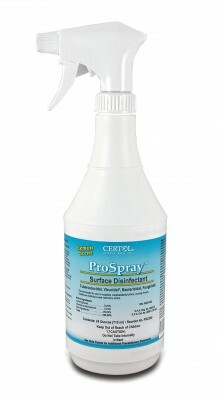 The ProSpray disinfectant formulation is an intermediate-level disinfectant recommended by the CDC for use in medical and dental settings and is EPA registered. Its residual activity provides sustained antimicrobial action without the use of alcohol or bleach, making it safe for devices, electronics, and tube sets. In addition, it is non-staining and features a light lemon scent. ProSpray is perfect for disinfecting FlexiPump tube sets and disinfecting the PureStation Sink Insert.